At Barry County Community Mental Health Authority (BCCMHA), we provide mental health and substance abuse services to residents of Barry County, in an accessible and affordable manner. Our goal is to provide treatment, recovery, and hope for individuals in the most effective, least restrictive level of care, and to create the best possible environment for independence and wellness for people living with mental illnesses, intellectual and developmental disabilities, and or substance use disorders. As a provider of comprehensive mental health services, our continuum of care extends to all ages, with a multitude of services to include both outpatient, home-based, school, and community-based programs. We follow a recovery model which emphasizes and supports each individual's potential for mental wellness, empowerment, and social inclusion. Services are provided in a person-centered, family-driven and youth-guided manner. Individuals, families and youth have an empowered, decision-making role in how their care is delivered. BCCMHA provides services to children under the age of 21 who fall on the Autism Spectrum and meet eligibility criteria..
Case Management offers clients assistance with linkage to community resources, monitoring current needs, coordinating services, and providing advocacy when necessary. Case Management services also assist clients with obtaining appropriate referrals within BCCMHA and the community. This service is designed to help clients increase their personal self-sufficiency, independence, productivity, and community inclusion/involvement. BCCMHA promotes support and teamwork with other groups for those served. Education programs and community awareness are offered in an effort to prevent problems and stressors from becoming severe mental health problems. Some prevention services are funded in part by the Barry County United Way. Services are available 24 hours a day/365 days a year to assist individuals in need. This program provides financial assistance to families that include a child with severe developmental disabilities. The intent is to help make it possible for children with developmental disabilities to remain with or return to their birth or adoptive families. Outpatient therapy services are provided to eligible Barry County residents ages 0 and up, who meet medical necessity criteria for Severe and Persistent Mental Illness and/or Children with Serious Emotional Disturbance. Specialty services within this area include Infant Mental Health, Family and Children’s Services, Adult Services and Senior Services. Outpatient services may include one or a combination of the following: consultation, group, individual, or family/child therapy. Intensive Outpatient Services are available for individuals who may be experiencing more urgent emotional symptoms. Limited testing services are also available as appropriate. BCCMHA aims to provide expedient services and efficient solutions to client problems and/or support for stabilization and recovery. Peer Supports provide support and guidance to individuals involved with the mental health and substance abuse system to help them attain wellness and recovery. Psychiatric services provide evaluations and monitoring of psychiatric medications for clients referred to this program during intake or during the course of other BCCMHA services. Respite services assist clients in maintaining a goal of living in their natural home setting. Respite is provided on a short-term basis to relieve the client’s family or primary care-giver(s) from on-going care demands. These services assist individuals to increase their economic self-sufficiency and to engage in meaningful activities (school, work or volunteering). These services provide knowledge and specialized skill development and/or support. These services include community and school-based programs. Classes and presentations focusing on the prevention of substance abuse, geared towards youth, families and adults. BCCMHA’s substance abuse services program works with a certified Suboxone doctor to assist individuals with narcotics addiction, in staying clean and sober, and rebuilding their life. A service to help adults with disabilities to get a job and do well at a job in the community. This program provides supportive services at home and in the community through collaboration with community partners to ensure safety and stability of families in Barry County. 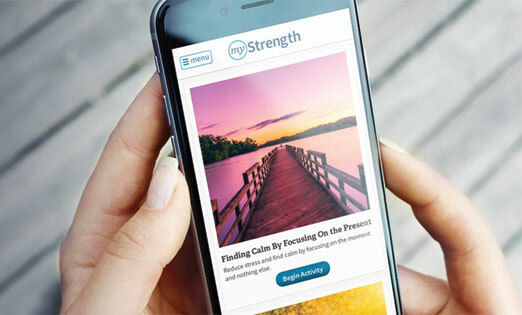 myStrength is a free online resource to help you self-manage depression and anxiety via computer access, in the privacy of your own home. It is designed to complement direct intervention and support and provides personalized daily articles, videos and quotes for your mind, body and spirit. There are evidence-based learning modules with goals, weekly action plans, and tools to keep you moving forward. You can sign up for myStrength today by starting your journey below. You will be asked for an Access Code. For Barry County, the code is SWMBarry. After entering the code, please complete the personal profile and/or a brief Wellness Assessment. Once you create the account, you may login directly in the future. Records are kept electronically in a secured system and are available in accordance with state and federal laws regarding privacy. All privacy rules and recipient rights will be explained at the first visit. BCCMHA accepts some insurances for provided services. Most out-of-pocket costs are determined by an ability to pay system as specified by state law. For persons without insurance coverage who meet eligibility, an ability to pay assessment will be provided to determine what, if any costs, will need to be paid out-of-pocket. Because BCCMHA needs to make sure state and federal money is spent appropriately and accurately, it is necessary to verify the individual’s insurance at each visit. BCCMHA also needs to know as soon as possible if there are changes in insurance, income or an address. It is important for the individual to know that if another resource is available for service payment and the individual refuses to use that resource, the individual may be charged the full fee for services. Rates for services are available upon request. The rights staff can assist and assure that rights are respected. The Recipient Rights Staff will assist in filing a complaint if an individual believes his or her rights have been violated. Please contact our Recipient Rights Officer at 269-948-8041. Customer Service is available to talk about service concerns and assist with connecting to other services and community resources. Please contact a Customer Service Representative at 269-948-8041 and/or SWMBH Office at 1-800-890-3712. As a provider of comprehensive mental health services, our continuum of care extends to all ages, with a multitude of services including outpatient, home-based, school, and community-based programs. We follow a recovery model which emphasizes and supports each individual's potential for mental wellness, empowerment, and social inclusion. Services are provided in a person-centered, family-driven and youth-guided manner. Individuals, families and youth have an empowered, decision-making role in how their care is delivered.